A far-right party, Vox, gets foothold in Andalusia parliament in first for post-Franco Spain, winning 12 seats. 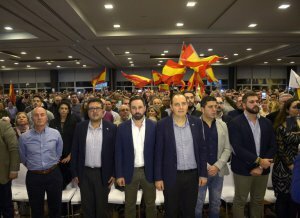 With 93% of the votes in the Andalusia ballot counted, the small Vox party took 12 seats, handing a majority to right-wing parties in the southern Spanish region governed by the Socialists for the last 36 years. The poll was seen as Socialist Prime Minister Pedro Sánchez’s first test at the ballot box. The ruling Socialist party (PSOE) only retained 33 seats in its worst results ever. The conservative People’s Party (PP) came second with 26 MPs, and Ciudadanos (Cs), with 21 seats, surpassed left-wing Adelante Andalusia, with 17. With 12 seats, Vox will be the smallest party in the regional parliament. As PP and Cs open the door to a deal with the far-right, the Socialists could see an end to their 40-year long reign in Spain’s most populated region. 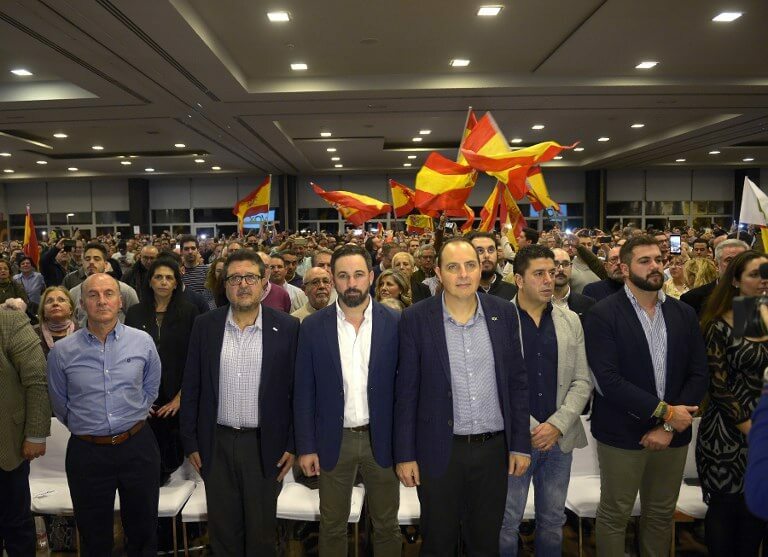 ‘Vox triumphs in Andalusia! 12 seats and an end to the Socialist regime. The #EspañaViva makes history and shows that change is possible,’ the Vox group tweeted following the election results. Marine Le Pen, the leader of France’s far-right Rassemblement National, greeted the results of their ‘friends’, which she described as a ‘young and dynamic movement’. Who will govern with who in Andalusia?